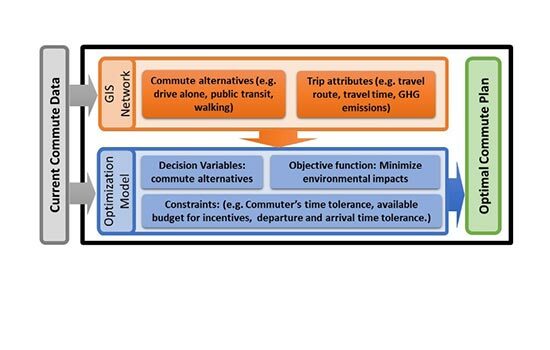 This project focuses on developing and implementing a new system to identify the optimal selection of business commute alternatives to minimize negative environmental impacts, as well as commuting time and cost for commuters in Denver and, eventually, the United States. This project studies how large-scale changes are made to engineering practice at DOTs within the specific context of bridge inspection. The project pursues a two-pronged approach to study the incentives and barriers to organization change. This project will use a probabilistic process-based model for landslide initiation to quantify the probability of landslide hazard across the landscape, and map these hazards onto the road and highway network to determine probabilities of landslide hazard continuously throughout the transportation network. This project will explore the potential of UAV-based remote sensing technology in transportation infrastructure inspection with a focus on bridges. The ultimate goal of the study is to develop an autonomous and quantitative infrastructure inspection procedure that requires minimum human intervention.